The following are phrases my children and my Facebook friends’ children have entered into search engines…at home while supervised or quickly intercepted by parents. Thankfully, the worst thing my own my supervised searching kids have indelibly imprinted on their brains are images of sidewalk dog duty and a cartoon flipper skeleton. But what happens when children they are in a computer lab at school with 30 or so other students and just one or two teachers? Sure, our home and school computers are as firewalled and as protected as we can, but images, information and ads that we do not want our kids to see still have a way of making it through. 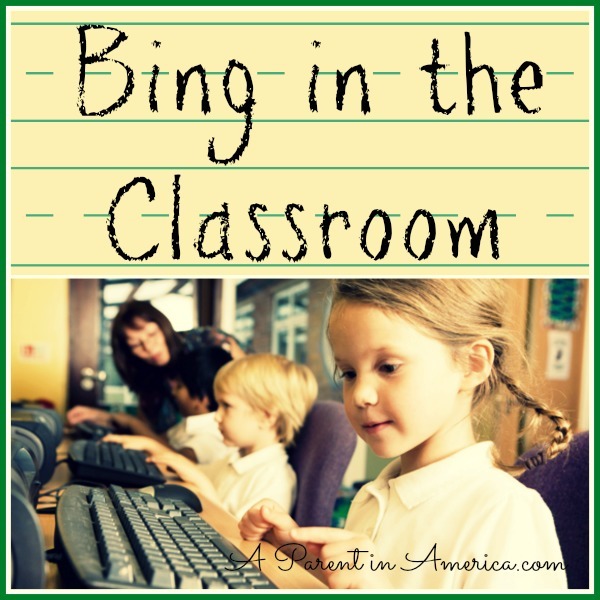 Bing in the Classroom is a version of the Bing.com search engine by Microsoft that has been developed especially for schools. When a school district signs up for Bing in the Classroom, absolutely all ads are eliminated from Bing.com search results. SafeSearch with strict filtering is enable, and all adult content that does not belong in schools is removed. Bing in the Classroom also has enhanced privacy settings that prevent the use of students’ data. ree daily lesson plans aligned with common core standards based on the daily Bing Homepage. School district and private school system admistrators can learn more and sign up their schools for Bing in the Classroom. 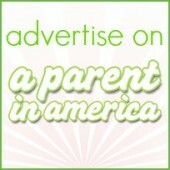 Parents interested in this option for their children’s schools can go to the Bing in the Classroom parent sign up page. I signed up here to learn more about this program and to be alerted if it is implemented in my children’s district. “We created Bing in the Classroom because we believe students deserve a search environment tailored for learning. Classrooms should be ad-free, and that should be as true online as it is offline,” said Matt Wallaert, creator of Bing in the Classroom, Microsoft. “I teach kindergarten through fifth-grade media classes, and as soon as I started using Bing in the Classroom, I noticed my kids being more attentive and focused in class. We all know advertisements can be distracting, and with Bing in the Classroom I don’t have to worry about inappropriate content getting in the way of the lesson plan or students’ research,” said Lynda Shipley, media specialist, Bremerton School District in Washington. PTA parents take note: your child’s school can earn Bing Rewards credits when families install the Bing search engine and register their school (think of the “box top” model, but using your computer.) Then every time Bing is searched, credits are donated to your chosen school. Earn enough credits and your school will receive Surface tablets for classrooms! So far, Bing in the Classroom has served more than 35 million ad-free queries to 4.5 million students in more than 5,000 schools, and people have also donated more than 2 million Rewards credits to schools. As a fundraising committee member of my children’s PTA, I will be bringing this up at our next meeting. 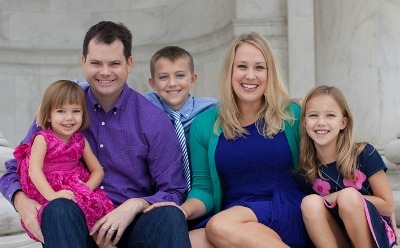 This is easy to insert in parent newsletters and mobilize families for the good of our schools.